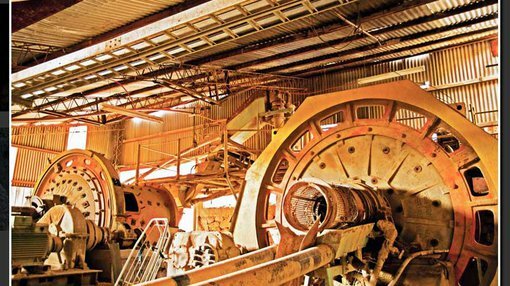 Lithium Australia (ASX:LIT) has continued its technological advancements, this time successfully developing a hydrometallurgical process for the recovery of lithium from spodumene, the primary source for hard rock lithium production. The process, known as the SileachTM process follows on from last year’s breakthrough where Lithium Australia produced its first lithium hydroxide. LIT is a developer of disruptive lithium technologies and has strategic alliances with a number of companies that could provide access to a diversified lithium mineral inventory spanning three continents. Managing Director Mr Adrian Griffin, says the Sileach process is “potentially to the lithium industry what froth flotation is to the base metals industry. The Sileach process is readily adaptable to other silicate minerals and has been developed to reduce the cost of producing lithium chemicals from materials that have traditionally been roasted, with very high energy costs, to recover the lithium. Independent laboratory tests of the Sileach process has achieved lithium extractions, from alpha spodumene, of up to 92% in 4 hours. The Sileach process has the potential to release the value from stranded lithium silicate deposits – those deposits quarantined by sub-economic grades. It can then transform low-grade spodumene occurrences into viable ore as, due to lower projected operating costs, it is less sensitive to feed grade. The result of this is lower cut-off grades for resource calculations, expansion of existing resources without the requirement for further drilling, and greater recovery of metal inventories. As the lithium is precipitated from solution in the Sileach process, all impurities in lithium silicate feed can be rejected during the production of lithium chemicals. Spodumene, and other silicates, in which impurity concentrations would otherwise render them unmarketable, can now be considered viable process feed. “The SileachTM process will not only provide a commercial opportunity for newly mined materials, but will also unlock the value of lithium minerals discarded in the past,” Griffin said. This new breakthrough will be used in Lithium Australia’s current projects. In LIT’s Pilbara Project, where it has MoUs with Pilbara Minerals Limited (ASX:PLS) and Venus Metals Corporation (ASX:VMC) in Western Australia, Sileach will be used to process a range of lithium materials produced from this project. This includes micas, clays and low grade spodumene, which in the past may have been sub-atomic. At the Electra Project in Sonora, Mexico, Sileach will be used together with other processes once materials become available. This project is a joint venture and farm-in with TSX listed Alix Resources (TSX-V:AIX). In Lepidolite Hill, also in Western Australia, the Sileach process is currently being evaluated on material from the deposit in anticipation of much improved leach times. This project, undertaken in conjunction with Coolgardie Rare Metals Venture, and in which LIT holds 80% interest has already been the subject of intensive metallurgical testing by LIT. LIT’s Cinovec deposit located in the Czech Republic could see the Sileach process improve economics by recovering a significant portion of the lithium carried in other silicates, and discharged to waste during de-sliming as outlined in the scoping study announced by European Metals Holdings Limited (ASX: EMH) in May 2015. The Cinovec deposit is subject of a non-binding MoU with LIT. The scoping study estimated the overall lithium recovery to be 70%. LIT believes that the Sileach process can substantially improve this, potentially adding to the revenue stream. “There is no shortage of lithium deposits or concentrating plants in the world but there is a massive shortage of lithium carbonate and hydroxide plants and Lithium Australia is focused on filling that gap with its leading edge environmentally friendly processing technologies,” Griffin said.